I don't proclaim to be an SEO expert or anything like that, but SEO is my day job, and I've been doing it for about two years - and in that time, I've picked up a few tips and tricks of best practice, or as we like to call it in the biz, being 'white hat' :) This is part of a series of SEO type posts that I've been doing, the first two of which were 'Setting up a Google Analytics account' and 'Understanding Google Analytics'. First off, a bit of an explanation of what SEO is. SEO stands for Search Engine Optimisation, and to put it as simple as possible, it's about getting high up on that first page of a Google search without paying for it (or as high as possible at least!). Ok, with me so far? Great, I'll crack on! I'll get to how to optimise your blog in a sec, first off a bit more about what 'White Hat' etc is. Do tell me, what is White Hat? In the industry there are three terms floated about, White Hat, Grey Hat and Black Hat - its fair to say, they're pretty much what they sound like. White Hat is being squeaky clean, not paying for links etc and doing everything Google dictates suggests. Grey Hat is a bit of a middle ground, you're doing most things right, with the odd sneaky trick. Black Hat is basically the dark side - using any means possible to get that top Google position whether that's buy buying all your links, spamming, whatever it takes goddam it! I think most bloggers fall into White Hat/Grey Hat, it's the Black hats you want to be wary of! :) Ok, now I'm going to give you some pointers on how to optimise your blog and blog posts. The first rule of SEO is... you don't tell anyone about it... kidding! I know, I know, this isn't fight club! Seriously though, there are some simple rules to bear in mind when you're writing a post. Content is King! Sounds cheesy and basically is - but good quality content will be like catnip for Google, make sure your content is relevant, good quality and not spammy. So... I don't know, if a PR approaches your beauty blog with a guest post that's filled with hyperlinks to an oil refinery - it's not very relevant to your blog, or the site that it's being linked to. Relevancy - as I said above, keeping your posts relevant and pretty much key. If all you blog about is cleansers, and suddenly you're blogging about cars, boats, drain covers and next door's cat every once in a while, Google may wonder what's going on. Post regularly - it's fine not to post every day, post as often as you like, but try to keep it regular, whether that's once a month or three times a week, keeping momentum is like tickling Google's belly, purrrrrr. After suffering through all that I'm sure you're keen to look at all the pictures and see some real ways to help your blog rank better with Google, so here we go. 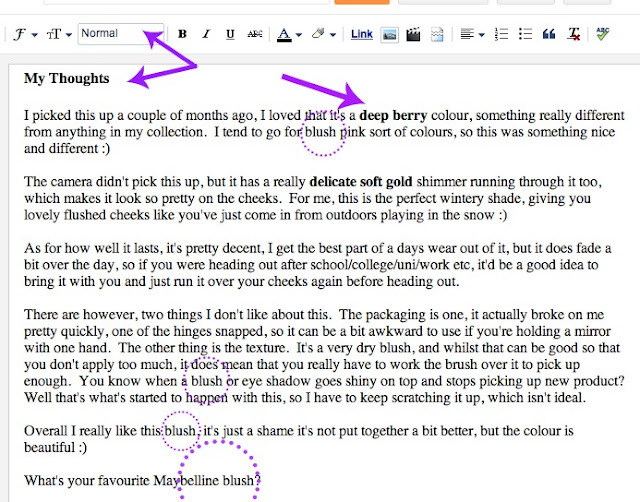 Here (the pic below), the first arrow (on the left) is pointing to the anchor text, which in this case is 'Flash Plum', the arrow underneath it is pointing to the checkbox for opening the post in a new window - this is good for keeping your readers on the article they're interested in, and allows them to continue reading another post in a new window, and the arrow on the right is where you need to paste the URL of where you want to take your reader. So here, if they click on 'Flash Plum' they would expect to be taken to a place where they can buy it - hence the link to superdrug, which is where I bought this. If this product was gifted to me to review, or if this post was sponsored, you should also hit the checkbox for 'Add 'rel=nofollow' attribute' which is right under the 'open in a new window' checkbox - this tells Google to ignore the link and that it's not a paid SEO link (which is against their guidelines). When you do that, you'll get this box up. You should really fill in both these fields, although, the Title Text is optional but the ALT text is important. The title text gives your picture a tooltip that will display over it, whereas the ALT text should be a meaningful description of the image, and will be read out by screen readers (pieces of software that read web pages for the blind). So keeping ALT text as a good description of the picture is really important. The first arrows are pointing to 'my thoughts' and the 'normal' field. I always put paragraph headings as 'Minor Heading' from the 'normal' drop down - this is the equilivant to an <h2> tag, telling Google etc that it's a small heading - you generally only have 1 <h1> tag on a post/page which will be the main post heading, which will automatically be there by blogger. Next up - making words bold! This is useful mostly for emphasising relevant keywords that you want the reader to be drawn to, these don't need to be links or anything, just keywords relating to the post. This is the sentence you see under the URL when you do a google search - see the square below? Well, that's my meta description. You can amend yours by going into Settings > Search Preferences and edit the Description. It should be about 155 characters (not dramatically less and definitely no more). Include keywords that are relevant for your blog, but don't just spam keywords. 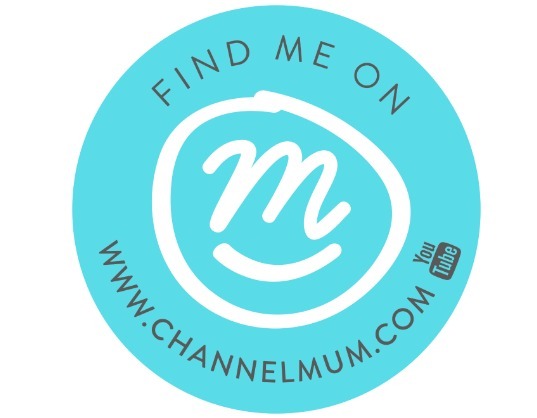 You'll see in mine I've included British beauty, Makeup blog, Makeup reviews - all keywords that people may type in to find my blog. Again, make sure this is relevant. This can be a fairly significant ranking factor too, but the faster your blog loads, the more likely it is that your reader will stay and read more content (who wants to wait for 2 mins for a page to load? ), and the better Google will rank your blog. One of the biggest issues with blogs and page load times, and the easiest one to fix is around images. I was guilty of this myself, letting blogger do the resizing for me. If you're taking high quality photo's and uploading them straight to your blog, then Blogger is going to have to resize the images every time the page loads, and if you're a beauty blogger/fashion blogger, the chances are you'll have a photo-heavy blog. So, do yourself a favour and edit your pics in image editing software first like PicMonkey and reduce the size to the size it needs to be on screen, there's no point in having it any bigger, it'll only slow your page down. Google linking guidelines - are you white hat or black hat!? Google SEO tips - their official tips! Such a useful blog post, thank you! That image thing was completely new to me, wish I had read this before posting my latest post haha. Thanks again, this was great. Thank you for this! I really enjoy your posts like these.. they're so helpful and I always learn something new! A really informative post..! Thank you I will definitely be using these tips as I've not blogged for long and have difficulty blogging via the iPad..! Thanks..! This is such a great post! 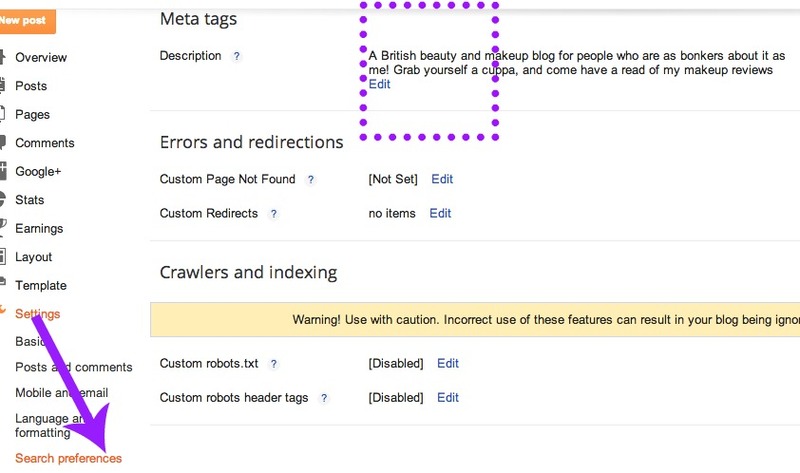 Thanks so much for putting that together, I didn't realise you could use meta tags in Blogger haha fail. Thanks again! Really helpful. I'd love to see more posts like this, they're great for people like myself who don't have a clue about all this stuff. This is an AWESOME post, thank you so much for sharing with us such great ideas. The most helpful post ever! Thank you so much for the amazing posts about blogging! 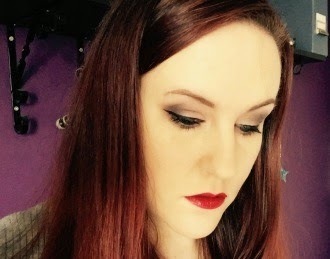 I pretty much started my blog based on your recommendations :-) I am hopeless when it comes to stuff like this but I love writing so I am hoping my blog improves over time. I just wanted to come by and say thank you for the inspiration! The authority of your site will also determine where google ranks it. 1000 websites all following exactly the same on-site SEO will have to be ranked in some kind of order and it's done on either your Google Page Rank and/or how many sites of similar relevance point links to you. This is why people buy in links as the link "juice" so to speak is what gives it authority to google. So get sharing links guys - link to each other or buy a wee paid advertising spot as that is what will help you rise in googles eyes. I had no idea about SEO or black hats so this post has been so useful! Really helpful post! Have bookmarked so I can go bak to it when I'm writing. Really simple way of putting this. People have tried to explain so many times to me but this is the first time I seen it explained point by point and telling me exactly where I need to put each bit of info. Thank you for taking the time to do this. Oh my, this is the most helpful SEO blog post that I have read in a LONG time! Well done girl, some brilliant tips! I myself struggling with getting a better position in Google. My content is good, relevant and the references are fine but somehow it's still not strong enough to put me closer to the first page. For me this is important not only because of blogging but because my site http://thesparklingblueberry.com is my personal portfolio for makeup jobs as well. Please note that 'lets follow each other' type comments will be deleted and not replied to.